Brick Wealth Management’s balanced investment strategy is designed to merge the goal of capital appreciation in equities with that of cash flow. 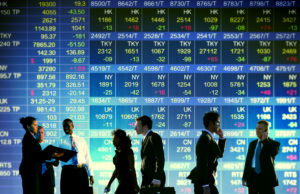 This is accomplished through allocating assets to different asset classes – equities, fixed income, and cash. The financial theory of balancing assets is that different asset classes can move inversely to one another depending upon the economic environment. In times of economic prosperity and rising rates, stocks may outperform fixed income as corporate profit growth is reflected in rising stock prices. In economic downturns when corporate profit decelerates, fixed income can provide a hedge against fluctuating equity valuations and may benefit from declining interest rates. Through exposure to both equity and fixed income, more consistent long-term performance may be achieved. Balanced portfolios are constructed with the equity component as the primary growth vehicle. Brick Wealth Management’s equity style is employed to construct a core group of stock holdings diversified across economic sectors. These stocks are managed in the same fashion as an all-equity account utilizing industry themes, relative valuation, and capital commitment guidelines. The fixed income investments utilized in balanced portfolios reflect an emphasis on quality and cash flow. These instruments consist of investment grade corporate bonds, U.S. treasury and agency obligations, municipal bonds (when appropriate) and preferred stocks. The style and portfolio construction methodology are reflective of Brick Wealth Management’s investment process.